The last time Wolf Alice played The Forum in my hometown of Tunbridge Wells, it was a rainy October in 2013 and the weather was so bad I had to dramatically detour on the way home to avoid flooding. The crowd consisted of around twenty other fans, all of whom had braved the dire external conditions to watch a band that they knew were headed for big things, and afterwards, all agreed that it had been worth it. In a blur of coloured lights, Wolf Alice emerged from the left of the stage to the screams and whistles of excited fans. Wasting no time, the band launched into “Don’t Delete The Kisses”, the second single to be taken from their upcoming album, Visions of a Life, set for release on September 29. If one thing can be noted, it’s that the band’s live style is now much more mature and relaxed than it was before. Lead singer and guitarist Ellie Rowsell radiates a confidence which wasn’t quite there before – and the difference of time and experience is definitely visible in their performance. Teasing the opening notes of fan favourites such as “Bros” and “You’re a Germ”, singles taken from 2015 debut studio album, My Love Is Cool, a mosh-pit soon opened up, and the crowd could be heard singing the lyrics at a volume well above that of the band. Musing on their previous gig at the venue, Ellie stated “there are a few more people here than there were last time”, an assertion boldly proved by the pure mass and energy of the crowd as the band played new tune “Visions of a Life”, neatly tucked in between Wolf Alice classics “Happy”, “Fluffy” and “Moaning Lisa Smile”. Finishing with recently release “Yuk Foo”, the band left the stage without a word. However, despite the lack of an encore, the band’s performance and the crowd’s enthusiasm had created an electric atmosphere, and it seemed to me as if all 250 fans left the venue on a high that showed clearly on all their faces. 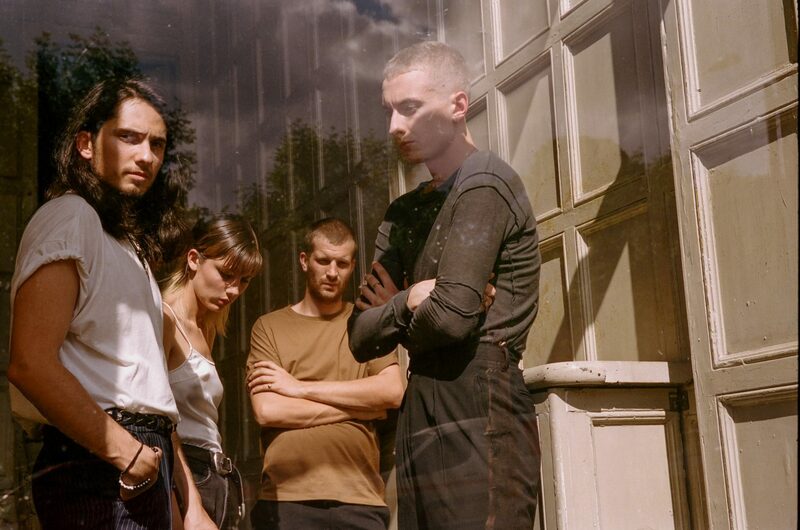 Wolf Alice’s Visions Of A Life is released September 29th via Dirty Hit and is available to pre-order now. The band are currently in the midst of an intimate UK tour, details of which can be found here. The band will also head out on their biggest tour yet in November including a show at London’s Ally Pally, details of which can be found here.